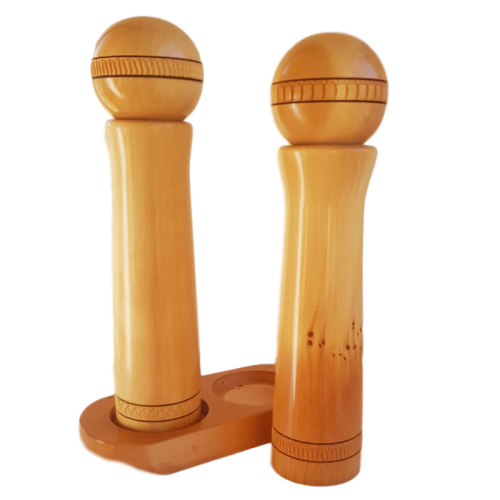 Hand turned salt & pepper grinders with decorative trim made especially for Tasmanian Craft from the unique to Tasmania, salvaged Huon pine. 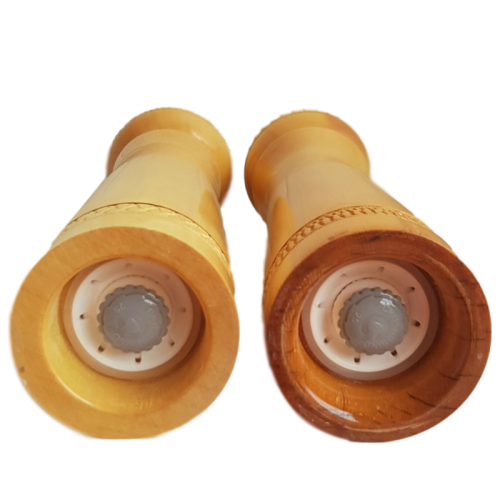 These grinders feature long lasting ceramic mechanisms which will grind salt, pepper or spices. Set comes complete with their own matching saucer also in huon pine. 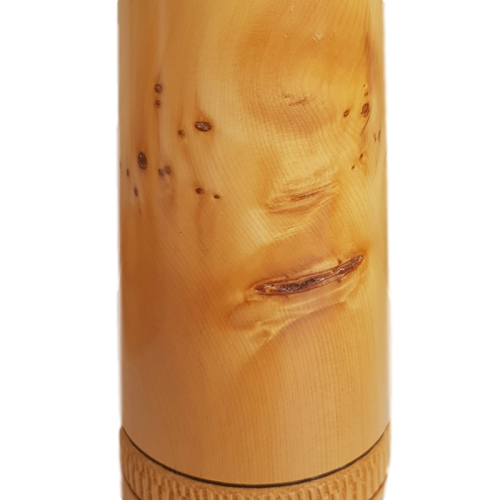 One grinder has a rarer feature or figured grain known as "birds eye", making it easier to differentiate salt from pepper. Measure approximately 29cm in height, Base diameter 6.5cm approx.